In 2008, the Italian population reached over 60 million, making it the country with the fourth largest population in the European Union and the 23rd most populated nation in the world. It has a population density of 516 persons per square mile, which is the fifth highest in the European Union. Half of the total population resides in northern Italy, which has the highest population density in the entire country. Many Italians are native born. However, there are small groups of German Italians, French-Italians, Slovene-Italians, Albanian Italians, and Greek-Italians. The majority of the people are Roman Catholics, but a few are Protestant, Jewish and Muslim. The Italian Republic, is a country situated in the Italian Peninsula in southern Europe and on two islands in the Mediterranean Sea, which are Sicily and Sardinia. It shares borders with France, Switzerland, Austria and Slovenia. San Marino and Vatican City are two independent states that are enclaves within the Italian Peninsula while the Campione d'Italia is an Italian exclave located in Switzerland. Italy is the nation that is considered the cradle of various European cultures and peoples such as Romans and Etruscans. Rome, the capital of Italy, is the birthplace of the Renaissance, Vitruvian Man, astronomy, heliocentrism, modern science, opera, and the Western civilization. Italy, a democratic republic, is a developed country that has the eighth highest quality of life index rating and the seventh largest nominal Gross Domestic Product in the world. It is also a founding member of world-renowned organizations such as European Union (EU) after signing the Treaty of Rome in 1957, and the North Atlantic Treaty Organization (NATO). Located in southern Europe, Italy is a long peninsula, shaped like a boot, with a total area of 116,346 square miles. 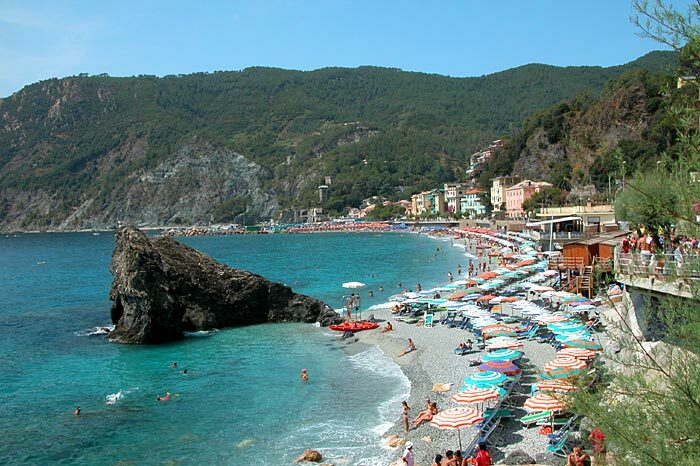 Italy has a coastline and border of 4,722 miles on the Adriatic, Ionian, and Tyrrhenian seas. It shares a 303-mile border with France, a 267-mile border with Austria, a 144-mile border with Slovenia and Switzerland, a 24-mile border with San Marino, and a one-mile border with Vatican City. The Apennine Mountains make up Italy's southern boundary while the Alps form its northern boundary. Garda is the largest lake in the north running 143 square miles in size, and Trasimeno Lake is the largest in Central Italy. The Po, which is Italy's primary river, extends from the Alps to the great Padan plain to the Adriatic Sea. 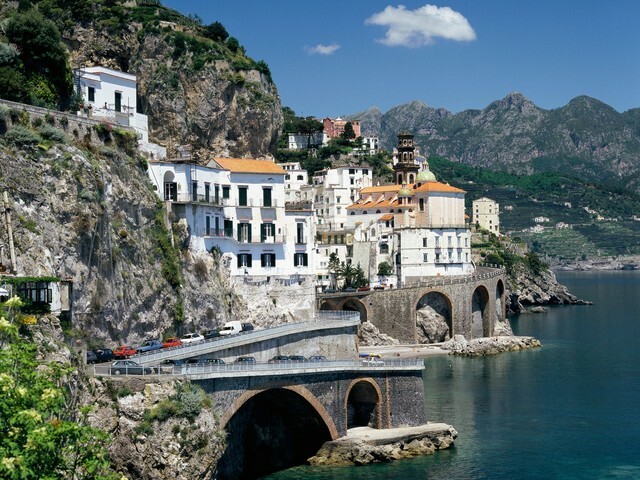 Italy has had inhabitants since the Paleolithic period or the Old Stone Age. The earliest settlers in this country were the ancient Greeks who arrived in the eighth century BC. The Etruscan civilization and Roman Empire that followed had the biggest influence on this country and the rest of Europe in terms of religion, culture, heritage and language. When the Roman Empire collapsed in the AD 500s, Italy encountered different battles with other countries who desired to invade this powerful nation. The Franks occupied Italy in 774 and became a part of the Holy Roman Empire that was later known as the Holy Roman Germanic Empire. During this time, the central state of the Vatican was created. During the year 1000, Italy's population and economy boomed through the formation of powerful city-states like Sicily, Naples and Venice. However, when the 14th century arrived, the Black Death, also known as the Bubonic Plague cast a negative and dark shadow over this nation. One third of the country's population died because of the plague. It eventually got back on its knees and again became the focal point of Western civilization at the time of the birth of the Renaissance period. Today, Italy remains to be the center of cultural, religious and commercial aspects of Europe. Italy belongs on the list of the top tourist destinations in the world. It opens its arms every day to millions of tourists from all over the world who desire to catch a glimpse of this country's charms of culture and architecture. Whether you stop in a quaint village like Siena or a big city like the capital city of Rome, you will find Italian charm evident. 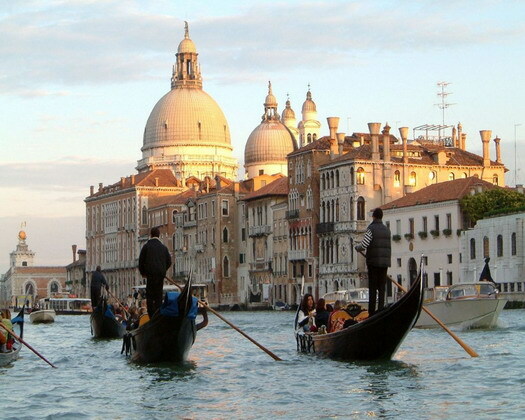 Other popular tourist spots include Venice, Florence, Turin, Milan, Naples, Bologna, Perugia, Genoa and Padua. 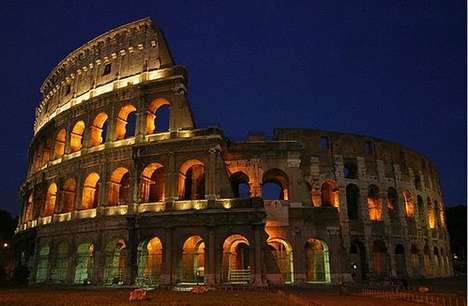 The top places you should visit when you are in this country are the Coliseum, venue of ancient Roman entertainment and battle; Piazza Campidoglio, seat of power of the Ancient Romans, housing the famous statue of Castor and Pollux, as well as various structures by Michaelangelo; The Roman Forums; and The Pantheon, a marvelous building which is also the place of Raphael's grave. Moreover, it is also necessary to include in one's trip itinerary other attractions such as the Trevi Fountain, the Grand Canal in Venice, the Sistine Chapel, St. Peter's Basilica, St. Peter's Square, the Vatican Gardens, and the Leaning Tower of Pisa. Italian nightlife is superb and spectacular as there are various nightclubs, casinos, pubs, discos, bars, and other trendy hangouts that you can explore when nighttime falls in this lovely country. 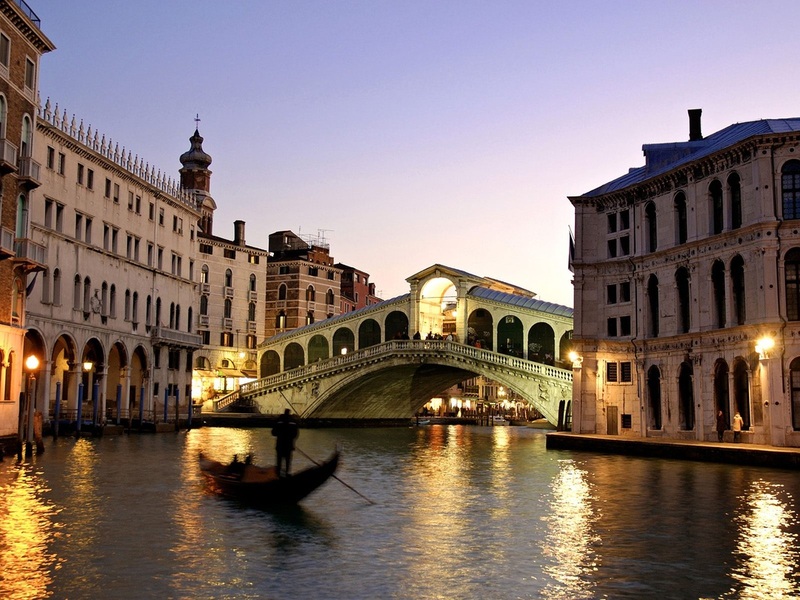 The glitz and glamour of Italian nightlife will surely make your trip memorable. However, you have to know that even in pubs and bars where drinks are served, culture and refinement are highly maintained. What is even more interesting is that some bars even permit children to go and enjoy Italian nightlife with their parents. Whether you are going out with your friends for a lively night out or some quality time with the whole family, the nightlife in Italy can satisfy your every craving for enjoyment. From ancient to modern times, Italy has played a significant role in world culture and heritage. Italians have introduced to the world some of the most world-renowned sculptures, paintings, architectural structures, music, and literature. Italian culture has been passed down from generation to generation through ancient relics and artifacts reflecting different stages of the evolution of Italian culture. Italy gave birth to the most exceptional painters and artists such as Michelangelo, Leonardo da Vinci, Donatello, Botticelli, Fra Angelico, Caravaggio, Bernini, Tintoretto, Titian and Raphael. It also introduced the Florentine poet, Dante Alighieri; whose masterpiece entitled the Divine Comedy is one of the foremost literary pieces in Europe during the Middle Ages. Other celebrated figures in Italian literature include Giovanni Boccaccio, Giacomo Leopardi, Alessandro Manzoni, Torquato Tasso, Ludovico Ariosto, and Petrarch. As for music, Italy pioneered the concept of opera and classical music. Musicians of the likes of Giacomo Puccini, Palestrina, Monteverdi, Alessandro Scarlatti, Corelli, Vivaldi, Paganini, Rossini, Verdi and Puccini are just few of the many artists in the musical roster of Italian culture. Italy is also a dominant player in the realm of cuisine. As we all know, Italian dishes have made their way to the hearts of people from different nations. Most people who do not have any Italian descent or background are still very familiar with the foods that come from this country. In fact, it is usual to find Italian restaurants in different parts of the world. Pasta is the most popular course attributed to Italians. Lasagna, spaghetti, and fettucine are just few of the many pasta dishes that are well loved by many. Italy is also popular for pizza, which is imitated in different countries today. Italian cuisine is not big on use of meat but relies heavily on vegetables, grains, fruits, fish, cheeses, fowl, and olive oil. Some of the trademark dishes from this country include risotto, chicken parmigiana, fettuccine Alfredo, lasagna, and linguine with clam sauce, veal Marsala, shrimp Fra diavolo, and many others.